Purposes of this research are (1) to find out the application activity based costing on the calculation of unit cost in Radiology Department of Balimed Hospital (2) to find out the difference between the application of activity based costing and conventional costing method. In performing this research Analysis technique used descriptive analysis technique with a comparative approach used to discuss unit cost difference. Result of the research show there are three stages in implementing an activity based costing system in calculating unit costs in a hospital. First, an activity analysis is carried out along with the costs of the unit in the hospital, in this case the radiology installation. Each of the existing costs will be allocated to activities using consumption drivers resources, after obtaining the cost per activity, then the costs will be allocated to the cost object in the form of various actions by using the appropriate activity cost driver. Calculation of unit cost for each action by using the activity based costing system to provide different information compared to the double distribution method currently applied by the company. Activity based costing is able to provide a more precise calculation in the radiology department. PRAMITARI, I G A A. Unit Cost Analysis in Radiology Department of Balimed Hospital: An Application of Activity Based Costing Technique. 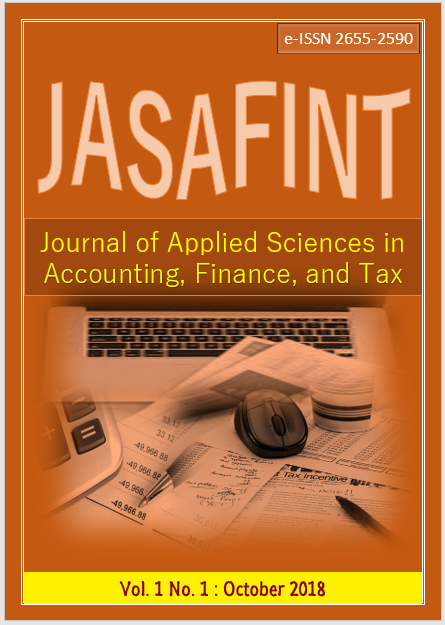 Journal of Applied Sciences in Accounting, Finance, and Tax, [S.l. ], v. 1, n. 1, p. 24-28, oct. 2018. ISSN 2655-2590. Available at: <http://ojs.pnb.ac.id/index.php/JASAFINT/article/view/1113>. Date accessed: 25 apr. 2019.